WRAPPED IN CULTURE recognizes that the project location of Ottawa resides on the traditional unceded territory of the Algonquin. 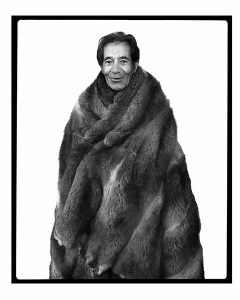 WRAPPED IN CULTURE acknowledges artist Lenny Tregonning, whose passing before the project was a unspeakable loss. His spirit was missed but was also present in the memory of Rosalie Favell, Maree Clarke, Kerri Clarke, Wade, Mitch and Molly Mahoney. 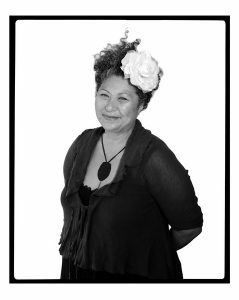 Rosalie thanks Hulleah Tsinahjinnie who connected her up with artist Julie Tipene O’Toole. Julie in turn made the fateful introduction to Maree and Lenny that ultimately led to the inspiration for this incredible and historically important project. We thank the Ottawa Art Gallery (OAG), the City of Ottawa, and Carleton University Art Gallery for providing a space to gather the community and the High Commission of Australia for their support. We also thank the individuals from the supporting institutions. From OAG curators Wahsontiio Cross, Catherine Sinclair, and Stephanie Nadeau, Natalie Zuger from the City of Ottawa and Australian High Commissioner Tony Negus. Thank you to Linda Grussani, Curator of Art at the Museum of History, for her generousity of time in touring our group at the Museum. Thank you to Wahsontiio Cross for her informative tour of the sites on the reserve of Kahnawake. This project would not be possible without the financial support of the Canada Council for the Arts’ New Chapter Grant. To all the participating artists thank you for your knowledge, grace and concern for the revival of Indigenous cultural practices. Thank you to those in the community who came out and contributing with helping hands. © 2019 Wrapped in Culture. All Rights Reserved.